Friends of 18-year-old Hannah Elizabeth Graham last heard from her via text message at 1:20 a.m. on Sept. 13. Police are studying new video that shows a missing University of Virginia nursing student, hoping that the sighting outside a pub in Charlottesville will help them narrow their search for her. Hannah Elizabeth Graham, 18, from Fairfax County, has been missing since Saturday. The new video shows her outside McGrady's Irish Pub, then walking east along Preston Avenue in Charlottesville at 12:46 a.m. Saturday. Police in Charlottesville are searching for a missing University of Virginia student. News4's Chris Gordon reports. MT @NBC29 Police tell @HenryGraff#HannahGraham was alone on the McGrady tape, appeared intoxicated, without visible injuries, heading east. "Those of us who know and love Hannah know that she would not disappear without contacting family or friends," Graham's family said in a statement released Tuesday afternoon. "She is highly responsible and organized. She embraces life with energy and enthusiasm and has enriched the lives of many. Her empathy is evident in her daily interactions with us and her friends." 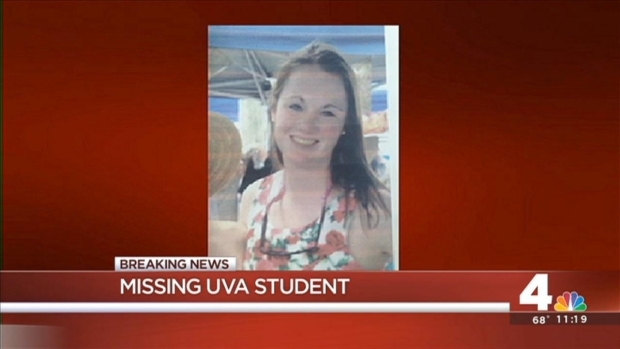 Police in Charlottesville are searching for a missing University of Virginia student. Friends of 18-year-old Hannah Elizabeth Graham last heard from her via text message at 1:20 a.m. Saturday. Stephen Rice, the band director at her alma mater, West Potomac High School, which she graduated from last year, agreed. "Hannah is not the kind of kid that would just go on a road trip and disappear," he said. "She was always very diligent with everything she did, and always did everything exactly by the book." Police have started searching in the area of Grady and Preston avenues in Charlottesville. Previously, they had used a bloodhound to search a large area northeast of the university on Monday and found no trace of Graham. The FBI has confirmed that it is involved in the search, saying only that it is providing investigative resources to local police. Albemarle County's search and rescue teams also lent a hand to Charlottesville Police Tuesday in their search for Hannah. "We're mostly giving them some extra eyes and feet on the ground to actually cover more area quicker. 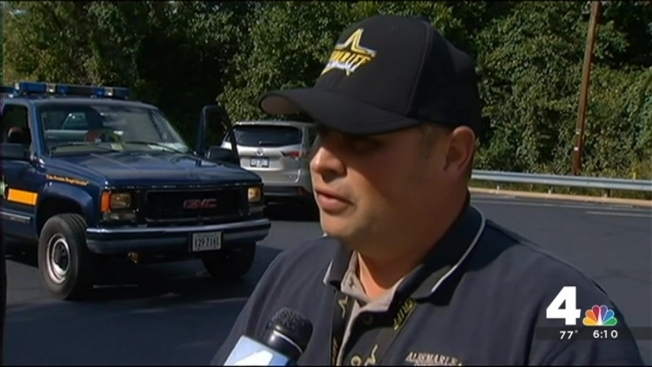 In these searches, time is of the essence in trying to find someone," said Bobby Shiflett with Albemarle County Sheriff's Office. Graham, who is originally from England, is 5 feet 11 inches tall with blue eyes, light brown hair and freckles, according to university officials. She was last seen wearing black pants and a gold crop top with black mesh cutouts, according to surveillance photos taken Friday at her apartment. Police said Graham's friends reported her missing Sunday after realizing nobody had seen or heard from her since early Saturday morning, when she sent a text message to a friend after leaving a party around 1:20 a.m.
University President Teresa A. Sullivan issued a statement saying the community is "united in our deep concern'' for the Fairfax County second-year student. Graham's parents have left their home in the Alexandria section of Fairfax County to go to Charlottesville to help look for her, and a "Help Find Hannah Graham"' page has been established on Facebook. "I just want her home safe. 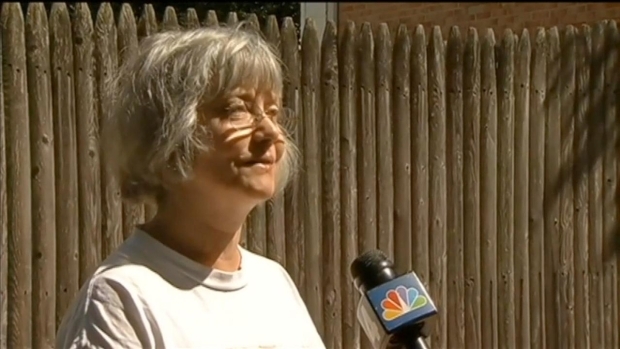 I'm scared for her," said Karen Blunk, who lives next door to Graham's parents. "Just from the standpoint of, you hear horrible things." In October 2009, Morgan Harrington, a 20-year-old Virginia Tech student, went missing after leaving the University of Virginia's John Paul Jones Arena while attending a rock concert. Her remains were found three months later in a rural area. No arrests have been made. "It's hearbreaking to know that another young woman is missing and that another family is going through the anguish of the missing priod," Harrington's mother said. At least two other young women, both 19 years old, have also disappeared in the area in recent years. Samantha Ann Clarke vanished after leaving her Orange County townhouse in September 2010. DaShad Laquinn Smith disappeared in Charlottesville in November 2012. Neither have been found. Anyone with information regarding Graham's whereabouts is asked to call a 24/7 tipline at 434-295-3851.